Specifically designed for hot water heating to 68°C, the 34 range heat pumps are the leading choice for heating and hot water in hotels, hospitals, industrial spaces, nursing homes, restaurants, schools and more. Designed for outdoor or plant room installation, all 34 range have a choice of fan external static pressure. This offers flexible installation including the ability for the units to provide cold air through a ducted system. Heating hot water in hotels is an expensive business. With world-wide spiralling energy costs and increased demand for both energy efficiency and reductions in greenhouse gas emissions, more and more hotels are turning to Zoe INTL heat pumps to solve their water heating demands. Hot water heat pumps are particularly suited to hotter climates such as the Middle East and South East Asia, and Zoe INTL heat pumps are specifically designed to maximise the benefit these temperate climates offer. All Zoe INTL hot water heat pumps are pre-charged with R134a – an ozone friendly refrigerant that can reliably provide hot water up to 68°C – and in all climates, hot or cold. Many hotels in the Far East and Middle East such as Hilton, Holiday Inn, Marriott, InterContinental and Ritz-Carlton, to name a few, have already recognised the benefit of this win-win situation by installing Zoe INTL heat pumps and currently enjoy 24/7 low cost hot water production. As a further benefit all Zoe INTL heat pumps have industry leading efficiencies and exceptionally quiet cutting edge fans. They also feature WRAS approved heat exchangers. WRAS is a conformance mark that demonstrates that an item complies to strict standards set out by UK water regulations. Zoe INTL air source heat pumps use dynamic renewable technology sourcing heat from every climatic condition and are available in different designs to suit space or hot water heating. Unlike fossil fuel and direct electric heating systems, a Zoe INTL heat pump is capable of delivering up to five times more energy than it consumes, and unlike solar and wind powered systems, Zoe INTL heat pumps do not need the sun to shine or the wind to blow in order to provide this efficiency. Zoe INTL hot water heat pumps are electro mechanical machines that extract energy from an air source and upgrade this energy to a usable form of heat that is rejected to a water system. With efficiencies of up to 500% – most of the energy that is provided is absorbed completely free of charge from ambient air around the heat pump. Heat pumps are practical devices that can be used in a wide range of heating, cooling or dehumidification applications. Unquestionably an energy efficient product, unique in its ability to concentrate and supply more energy that it consumes, a heat pump is a real alternative to conventional heating systems. Zoe INTL heat pumps are simple to install, require little maintenance and alleviate the need for fuel storage tanks and flues that are normally associated with fossil fuel heating systems. Further, due to their unique ability to collect and enhance “free” heat from the air around them, they are kinder to the environment than traditional heating systems and exceptionally inexpensive to operate. 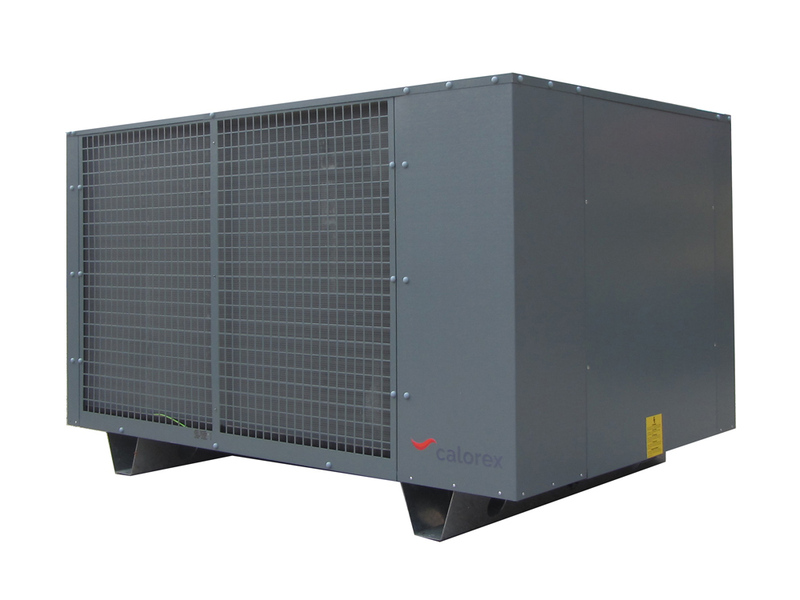 Pro-Pac heat pumps can be installed outside or in a plant room that has adjacent outside walls. Pro-Pac can be supplied with high speed axial fans.​ The Zoe INTL 34 range are designed for outdoor or plant room installation and are provided with centrifugal fans as standard. A choice of fan external static pressure offers flexible installation and an ability for the units to provide cold air through a ducted system. Heating hot water in hospitals is an expensive business. With world-wide spiralling energy costs and increased demand for both energy efficiency and reductions in greenhouse gas emissions, more and more hospitals are turning to Zoe INTL heat pumps to solve their water heating demands. Hot water heat pumps are particularly suited to hotter climates such as the Middle East and South East Asia, and Zoe INTL heat pumps are specifically designed to maximise the benefit these temperate climates offer. All Zoe INTL hot water heat pumps are pre-charged with R134a – an ozone friendly refrigerant that can reliably provide hot water up to 68°C – and in all climates, hot or cold. Many hospitals in Singapore such as KK Hospital, Gleneagles Hospital and Connexion @ Farrer park, to name a few, have already recognised the benefit of this win-win situation by installing Zoe INTL heat pumps and currently enjoy 24/7 low cost hot water production.